An agent of enchantment or a metaphor for obscuring the truth, the night is comprised of and nourishes a wide range of knowledge, aesthetic forms, media and related modes of consumption. Today, we can speak of an emerging field of research—night studies—a field that brings together and intersects with the work of historians, urban planners, visual culture experts and public policy analysts. 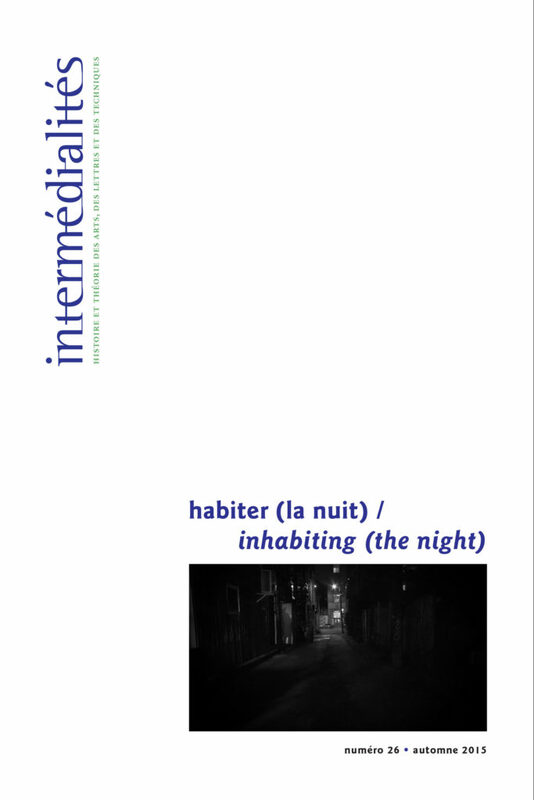 This issue of Intermediality draws on the multiple impulses that have shaped night studies towards a greater consideration of the mediality of the night. Relatedly, the issue discusses electric lighting, urban history, darkness as a condition and as a transitory place, figures of excess as well as the temporal cycles that organize contemporary life.